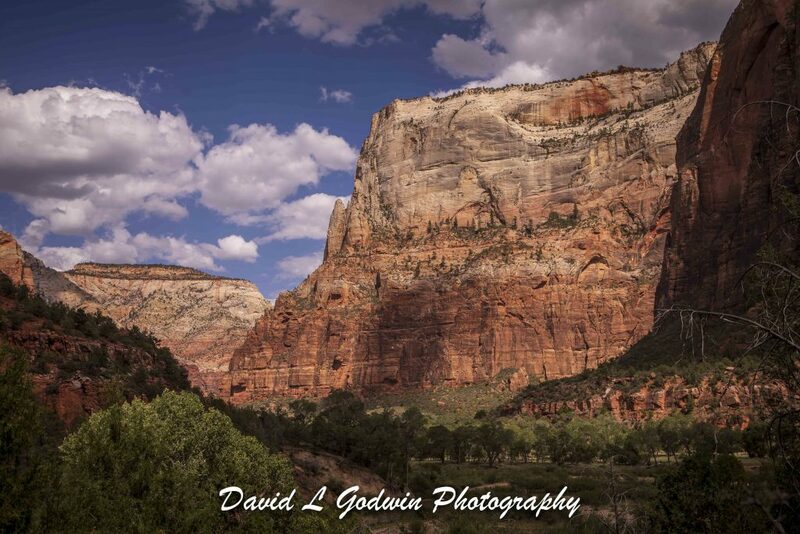 This next image was taken in the Zion valley next to the Virgin River. I think it shows the tremendous scale of these sandstone cliffs. With the sun shining directly on the cliff face you can se the glorious colors set against the deep blue sky. What an incredible experience to be able to hike along next to these inspiring cliffs. I appreciate everyone stopping by and I hope you are enjoying these images. I will post more later today !